This section contains modules for generating waveforms to control the envelop of the output of an oscillator or filter to give a tone the characteristic attack and decay of a real instrument. The modulation waveform can also be used to control the harmonic development of a sound by modulating a filter frequency or resonance. This module combines the function of a wide range ADSR envelope generator with a voltage controlled amplifier to provide a complete envelope modulation element in one 1MU module. 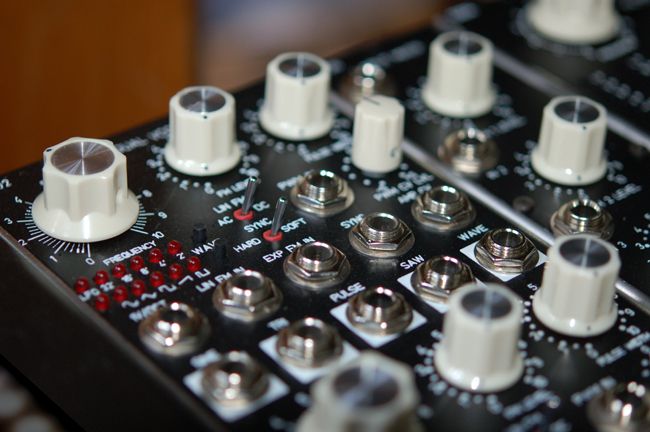 We produce electronic synthesizer modules in the two most popular formats, MU (Moog compatible 5U) and EU (Eurorack compatible 3U). 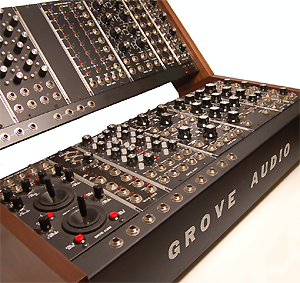 A wide range of voltage controlled modules including oscillators, amplifiers, mixers, envelope generators, special effects units, wave generators, filters, power systems and cases allow users complete freedom to configure any desired electronic music instrument. 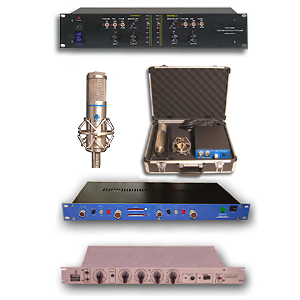 Grove Audio builds microphones, preamplifiers, equalizers, compressors and other professional audio equipment for performance and studio use. We build units in popular formats such as 19 inch rack mount and 500 series 3U modules. We can also produce custom designs on request. Contact us for a consultation. 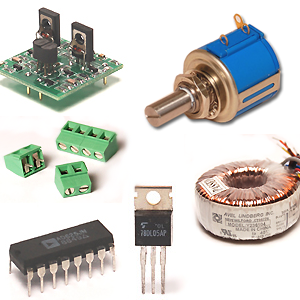 A wide range of electronic parts, kits, tools and accesories is available on the Strange Hardware site. Fast order response, free shipping specials and prompt service will get you the parts you need for your building, restoration or repair projects. You will find high tech hardware sure to inspire the inventor in you. 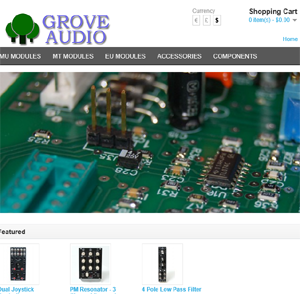 You can explore all of our products, download spec sheets, and purchase our products in the Grove Audio Synth Store. You can also learn about our periodic specials and new product introductions. Click the button below to go directly to the store.